The Lawn On D Powered by Citizens Bank is a vibrant outdoor space that offers everything you need to create a signature experience. This venue can accommodate groups large or small for private and corporate events. Let your guests gather, recharge, and play in an innovative urban space that encourages creativity and interaction. 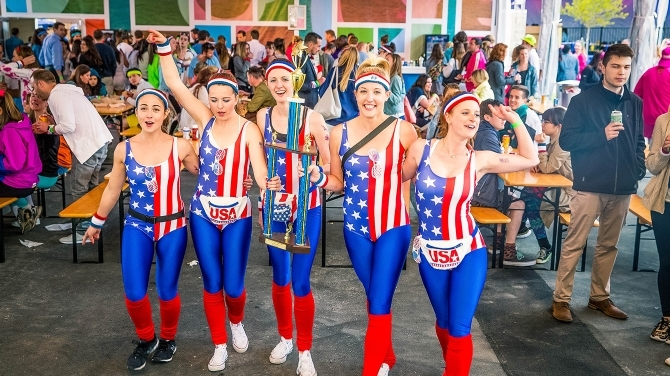 Bring your team-building meeting outside. Host a cocktail reception or black-tie dinner under the stars. Or simply open a playground for your company retreat or outing. 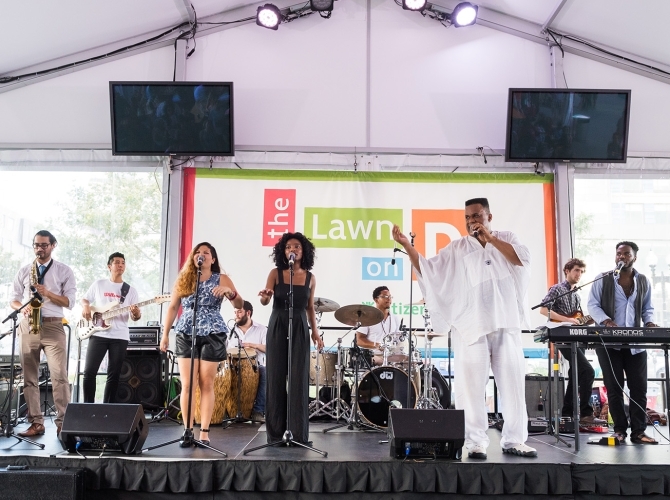 Your vision will be brought to life at The Lawn On D.
We offer two separate pavilion spaces to accommodate all types and sizes of events. The Pavilion On D is the larger tent area on the main lawn, while the Signature Pavilion is an exclusive space offering its own private lawn area and the Halo Swing. Seaport Catering is our private event food & beverage provider. 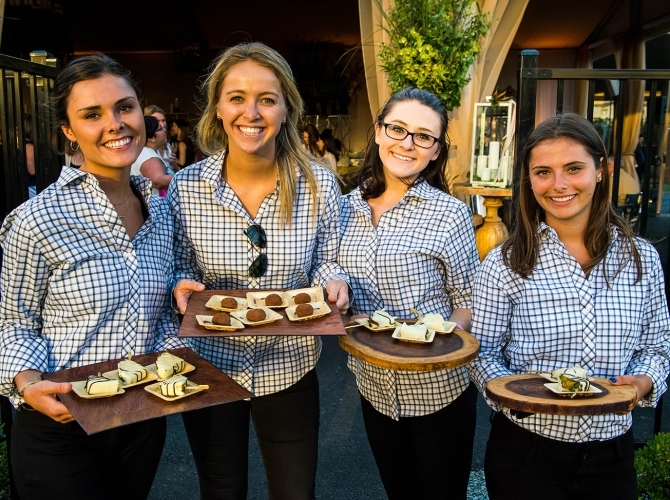 Since 2011, Seaport Catering has served a range of Boston’s top corporate clientele along South Boston’s waterfront. 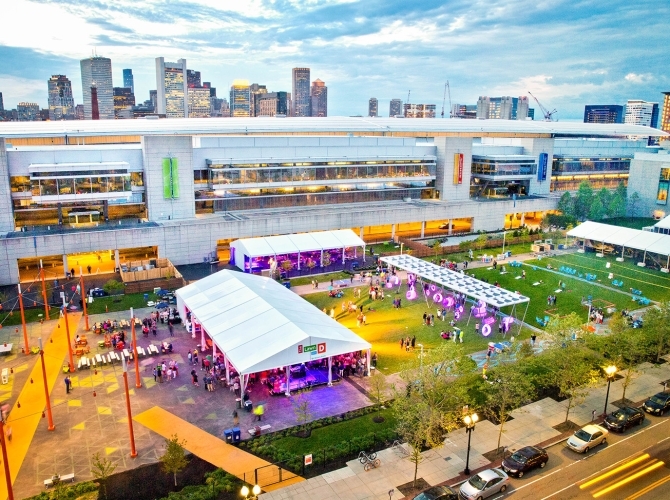 Signature Boston can provide your event with the award-winning services it is famous for at the Boston Convention & Exhibition Center. We offer free Wi-Fi in addition to one-stop A/V, transportation, and public safety services. 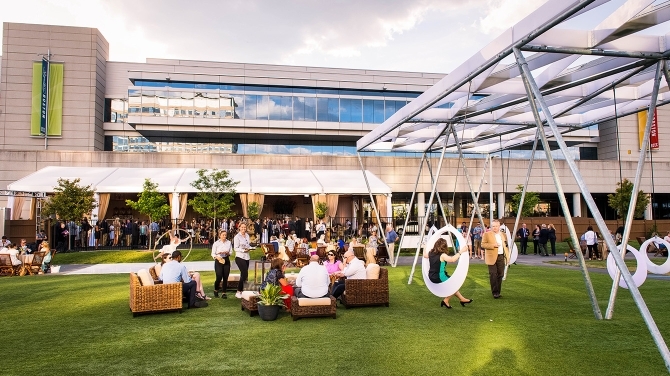 Let your employees gather, recharge, and play in this innovative urban space, that encourages creativity and interaction, at your annual company retreat or summer outing. 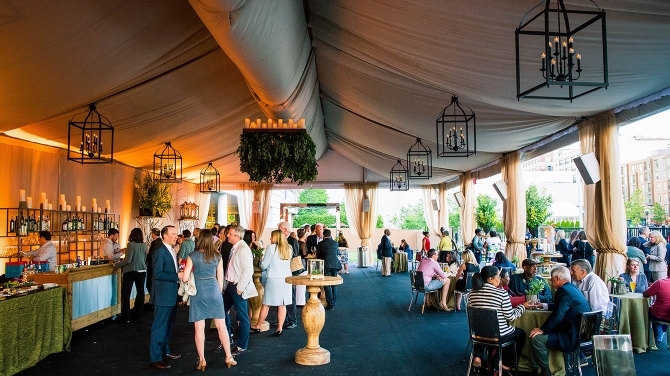 The Signature Pavilion is the perfect venue for your networking event, particularly with its private lawn area and the Halo Swing that are perfect for socializing. 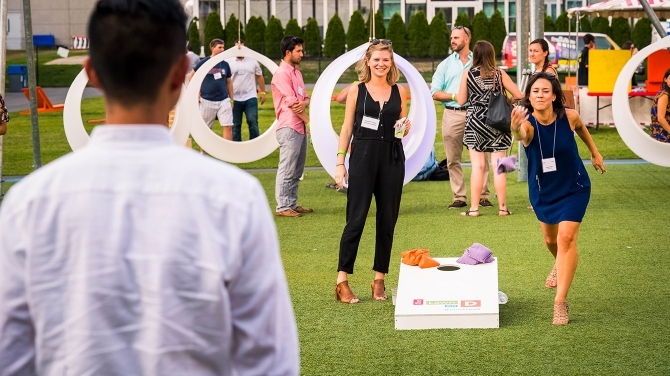 The expansive Lawn offers the perfect environment to host team building activities and allow your employees to interact and foster new relationships. Host a cocktail reception under the stars. We offer an excellent reception and cocktail menu that makes hosting your reception at The Lawn On D stand out from the crowd. Choose a venue as unique as you are. With two versatile spaces, our team will be there to make your special day memorable. Workout under the sun at The Lawn On D! 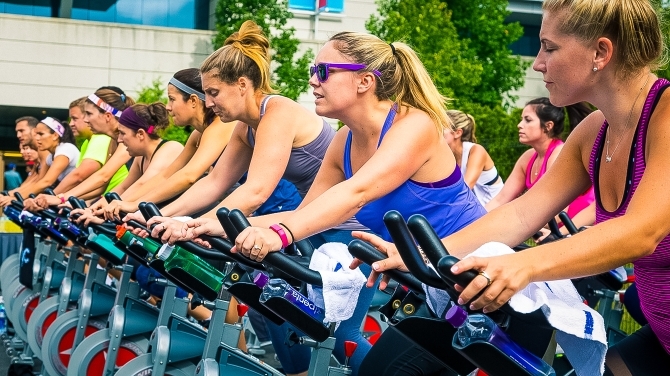 We offer the perfect green space to hold fitness events ranging from yoga to boxing, and anything in between! 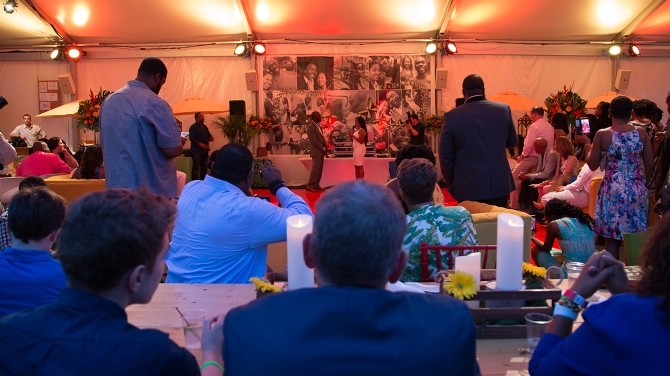 To book your event this season, simply call us at 877-393-3393 or email sales@SignatureBoston.com.